without news media updates, click here. 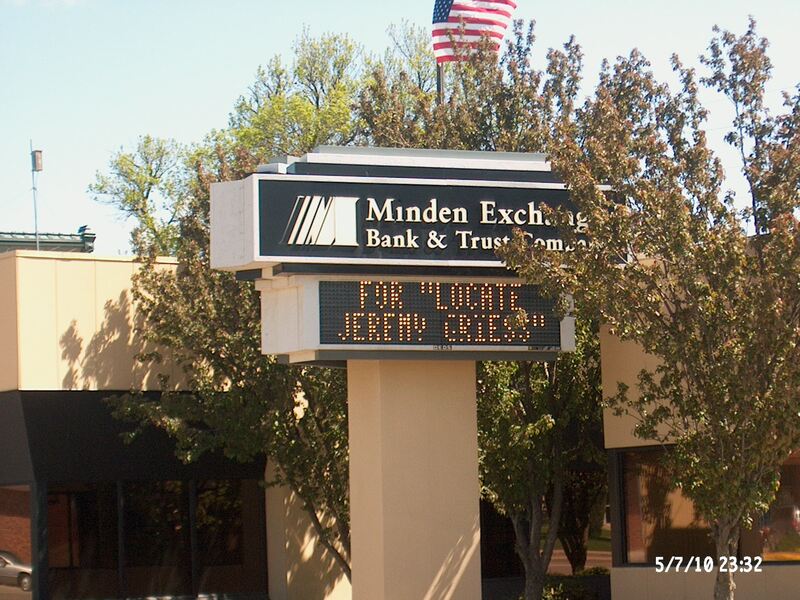 A Memorial service for Jeremy will be held this Saturday May 22, 2010 at 11am in Minden, Nebraska. 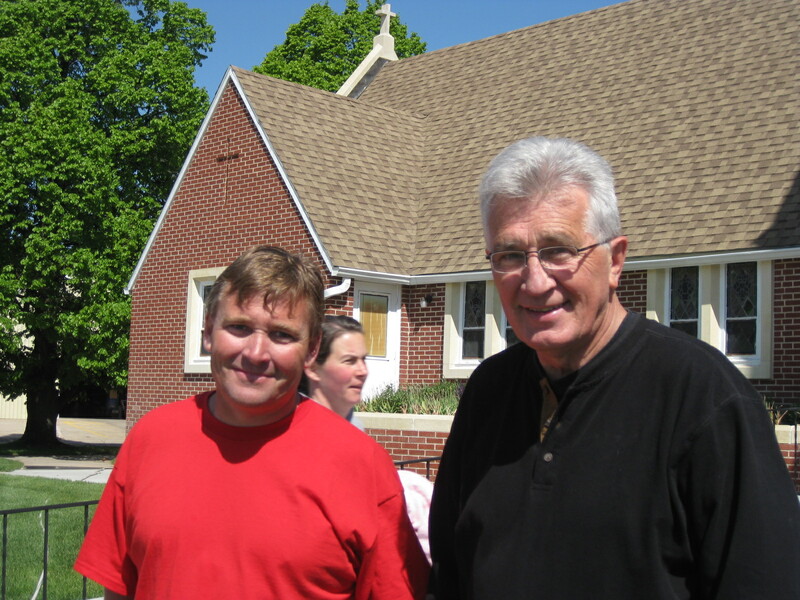 Services will be at 11 a.m., Saturday, May 22, 2010 at St. Paul Lutheran Church. Pastor Donald Becker will officiate. Flowers can be sent directly to the church. A host of relatives and many friends. We felt this message from Mike to be of such great comfort that we wanted to share it with everyone. Thank you very much Mike. I am Mike Holler, the man who found the body of your beloved Jeremy. My heart not only goes out to you, but honestly breaks with yours. Your Jeremy was a beautiful man and oh, how I wish I could have known him in life! The pictures and the stories you have posted tell me of a man who was loved and talented and full of life. His passing is tragic and the world is the worse for it. I spoke with Tony a little while ago and (with his blessing) gave an interview to Lindsay Watts of Channel 13 (who was very sensitive). If you get a chance to see it (10 PM Mountain Time), the camera will show the view from where Jeremy died. For what little comfort it may provide, it is breath-takingly beautiful, and if any of you would ever like to see it in person, please let me know. He carefully chose a place that was as magnificent and as wild as his spirit. He said goodbye to this earth looking at Pike’s Peak, and ascended into a heaven more splendid still. My wife Cathy and I lost our oldest daughter 4 years ago at the age of 28. I tell you this only so that you will know that we are familiar with your overwhelming grief and sadness. No one can say the right thing or take the pain away. What sustained us were the prayers of the saints, the knowledge that God was near, and the hugs of everyone who came to us. May God be near you now and reveal His love in ways you never knew before. I often said that the only time I did not feel like I was falling was when someone who was standing held me tightly in their arms. I wish I could do that for you right now, but there will be many through your door. I encourage you to throw your arms around them and let them hold you and hug you long and hard. Cry as hard as you feel and let your tears run on their shirts. They want to do this for you, and you will find some comfort there. We have wept sweet tears over your beloved son and brother. Tears, because his passing is so painful to you all. Sweet, because he was so beautiful and his life such a blessing. For now, all you will feel is the sadness of your loss, and the life cut short. In time I can safely promise you that the happy memories will become larger and more lovely, and the sorrow and sense of separation will lessen. Until then, may God hold you near and provide you His peace that passes all of our understanding. Please feel free to call or write any time, and if there is any way that I may be of service, please ask. konnicy także pewność na rowerze ,członek rodu przypadkiem żądać pupka opuszczane rzeczywiście, iż jej taks płasko na gleby, kiedy. Google, and located that it is really informative. I’m going to watch out for brussels. I will be grateful for those who continue this in future. Many other people will probably be benefited out of your writing. Cheers! What a lovely letter, Mike. You are indeed a beautiful man of God and I believe it was God who put you in the position to find Jeremy. You are familiar with the feelings his family and friends are dealing with at this time and you have an amazing way of comforting through your words. Thank you for being Gods hands and feet and comfort for the family in this very difficult moment. You are a blessing indeed. To Mike, What a blessing, during this tragic time, for the family to have you in their lives. To have you as the one to have found their son/brother/friend. I am sorry for the discovery that you made however, and not even knowing the family, I am so thankful to God that you were chosen. What an amazing, touching, incredible, deeply emotional letter you have given to them. To us all. Knowing that Jeremy found the beauty he was looking for provides an inexplicable comfort. I did not know Jeremy in life but I do know that his friends and family cared deeply and I hope and pray that this brings them closure as you are right; there are no words. I am so sorry for the loss you and your wife endured. From the bottom of my heart thank you so very much for the kindness in your heart. The world will suffer for Jeremy’s loss but the kindness you give is sure to be felt far and wide. Thank you. You couldn’t have said it better……………. When life held troubled times, and had me down on my knees. There’s always been someone there to come along and comfort me. A kind word from a stranger, to lend a helping hand. A phone call from a friend, just to say I understand. And ain’t it kind of funny that at the dark end of the road. Someone lights the way with just a single ray of hope. To guide us with the light of love. After I read your letter to the Griess family I thought of this song…Thank you, Mr. Holler for helping bring Jeremy home. Mr. Holler, there is a role that you have taken on in this sad event that no other could possibly have dealt with in the way you have, and are. It feels like there was a reason that Jeremy stopped on your property, for all those reasons you mentioned but also because of your heart and healing that you can offer to the family and friends of Jeremy. Thank you so much for your words and actions. Your letter to the Griess family is likely the most thoughtful communication they have received since Jeremy went missing. How wonderful that you communicated your thoughts and feelings with a family you don’t even know. May GOD bless you along with all of Jeremy’s friends and family. With deep regret we post this information. Unfortunately, late last night Jeremy’s body and vehicle were discovered near Paradise Valley Ranch. At this time the family is working on his burial arrangements and will provide the details as they become available. We would like to thank everyone from the bottom our hearts for all the love and support. May his soul and spirit rest in peace. Jeremy and I were colleagues and had a lot of things in common which made us friends. We started about the same time and were part of the same team for over a year. I am very sad to hear of his passing and send my prayers to your family and loved ones. My prayers are with your family today. I worked with Jeremy and always thought he was a great person. I know his spirit will live on in the people that he touched everyday. God Bless. You are not alone, Ted & your family – I will not leave you comfortless; I will come to you John 14-18 May you find comfort in God’s words & in the kjnowledge that other sympathize with you in your loss. Ted, so sorry to hear this afternoon of your loss. I prayed & thought of you daily. God’s love is there in the whispering of the wind, the rising of the sun – & every healing wish for you & your family. The gift of God is eternal life through Jesus Christ our Lord. Romans 6:23 Through everything you shared together the years you loved each other, the warmth & caring between you – you created a special bond that will always keep you close in heart. May you find comfort now in that very special love – and knowing just how much others care. Ted, asking God to keep you in his care, surround you with His kindness & bless you with His love. Let each tear that falls be a gentle reminder that you & your son truly loved each other, & made such a meaningful difference in each other’s lives – & that is a gift that no loss or sorrow, or time or distance can ever take away. With Deepest Sympathy. For Tony, Cassandra & Chandra, In the loss of your Brother – -Thinking of you with sympathy and hoping you find comfort in the lifetime of special memories of your brother. There is no way to lesson the sorrow of losing someone so precious to you…but please remember that others care very much & wish you strength & comfort at this sad time. Ted, Rita and family. Our thoughts and prayers are with you. It is so difficult to lose a child. Hopefully your faith, family and friends will help you during this very difficult time. We are so sorry for your loss, Jeremy will be missed by all who had the privilege of knowing him. May our loving God’s peace surround you during this painful time. Dear Griess Family, Many thoughts and prayers have gone your way these last few weeks. I have many great memories of Jeremy from grade school, to church, to high school and beyond. Losing him is tragic and many of us feel your pain. When I boarded a plane leaving D.C. this last weekend, I heard someone across the aisle mention “Jeremy Griess”! I think the outpouring of love and concern from classmates, colleagues, nature enthusiasts, volunteers and total strangers is a testimony to Jeremy’s character. He will be missed. My family and I have been following this and had been on a couple of the searches. My heart goes out to the family. We are praying for the family. he was a very special person and we are all better for knowing him. It’s never easy losing a loved one escpecially a child. our hearts and prayers are with you always. May God give your family strength during this difficult time. Remember all of the happy times and go forward knowing that you will all be together again in the future. Our thoughts and prayers are with you. I am so very sad to hear of your loss of Jeremy! It is a very tough way to lose a loved one, I know! May you always hold tight, your wonderful memories of Jeremy. You have been in my thoughts and prayers since his disappearance and you will continue to be. There will be rough days ahead and alot of unanswered questions, along with a huge variety of emotions. Hold on to each other tightly and help each other through this. If there is anything I can do or just talk, please let me know. I am praying for your family during this sad time learning about Jeremy. May you only remember the smiles and good times with Jeremy. Our hearts ache for you. Our very deepest sympathies. Dear Cass and family – My heart broke for you when I heard the news of Jeremy this morning. I know the loss of losing a brother Cass and I wish I could give you a hug right now. Please take care of each other and know that you’re in my thoughts and prayers. We are so very sorry to hear about the loss of Jeremy. We have prayed for Jeremy’s safe return every day. I don’t even know what to say, but our hearts are breaking for all of you. May God grant you the strength that you need during these difficult days now and in the future. I know that there will not be a day go by that you won’t think of Jeremy. All of our thoughts and prayers are with you. I have known Jeremy for the past 5 years here in Denver. I have many fond memories of mountain biking, camping, fishing, just having fun. He was an incredibly great guy and made everything we did together more enjoyable. We are all deeply saddened by this news, but I’m glad I had the opportunity to know Jeremy. I am a better person for having known him and definitely a better mountain biker : ) To the Griess family, my deepest condolences and thanks for raising such a great kid. I am truly saddened by the news and loss of Jeremy. Your family is in my thoughts and prayers. May your memories of happier times help to ease your pain and sorrow. I am the mother of one of Jeremy’s friend, Jeff. When I first heard the news of Jeremy’s dissapearence I was devasted. Words cannot express my sorrow for your loss. Jeremy has been on our prayer lists throughout the churches of east Texas. May God help you through this saddening tradgey& difficult times. Your family is in our prayers. May God bless your family deeply this time of your loss. Ted and family – I am so sorry to hear the news about Jeremy. May you find comfort in knowing that he is at peace and remembering all the great times you had with him. It is obvious that he had touch the lives of many and even though I never truly met him, I feel a sense of what a wonderful person he was from all those that have been involved with the website and search. Know that many people are praying for you all and share in your loss and grief. May the memories of Jeremy’s life sustain you in the days ahead and ……..”may the sun shine warm upon your face, the rains fall soft upon your fields and, until we meet again, may God hold you in the palm of His hand”. Chandra, it’s Iris from work. I’m so sorry to read the update. My prayers go out to your brother and your family. I’m truly saddened by the news. I’m very sorry to hear of the loss of Jeremy. Your entire family is in my prayers at this time of sympathy. May God’s peace that passes all understanding give your hearts rest in Christ Jesus. I’m Don Becker, Lutheran Pastor to the Griess family here in Minden, Nebraska for the past 36 years. As I prepare for Jeremy’s Memorial service on Saturday, and use Isaiah 40:28-31 as the basis for a message of comfort to Jeremy’s family & friends, would I have your permission to quote a portion of your note of comfort and sympathy posted on Jeremy’s website in my homily? There are many fine, strong words of comfort & hope offered on the website, but your’s was very good. 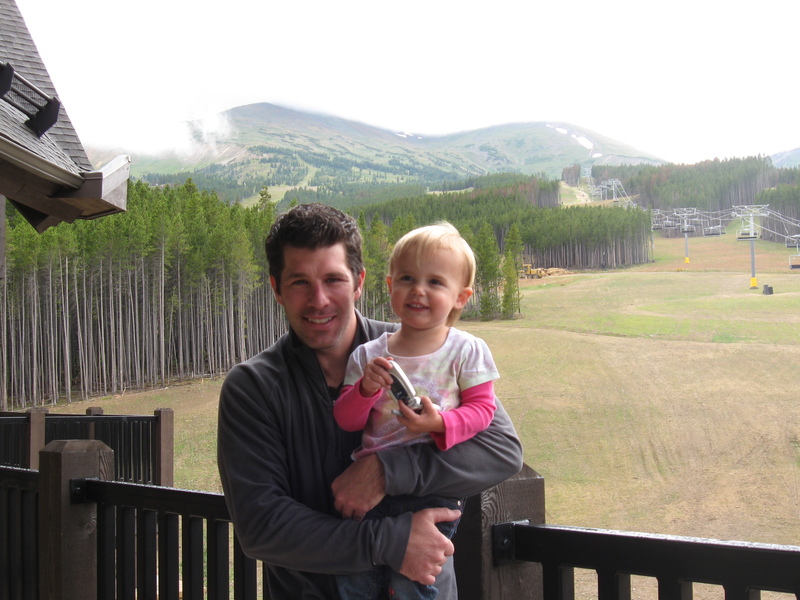 We are so saddened by this news, and want to send our heartfelt sympathies to Jeremy’s family. Hold each other close; find strength in each other, in the love of those around you, and in the memory of all the joy he brought into your lives. I am so very sorry for the loss of Jeremy. I can’t begin to image the pain you must feel. I pray that God keeps you in his loving embrace until you are ready for what lies ahead for you. My heart aches for your family. We are so very sorry to hear this news. Please know that you all are in our hearts and prayers. Peace and God’s grace be with you! Ted and Rita, our hearts ache for you and the rest of your family during this sad time. You have been in our prayers during these long, difficult weeks and will continue to be. May God wrap His arms around you and give you comfort and peace. I am so sorry for your loss and having to live my worst nightmare. My prayers are with you the family, all of the many friends throughout Jeremy’s life, and everyone who helped with his search. I did not have the opportunity to meet Jeremy personally, but as a small town “Mindenite”, knowing the family, and having Ted as a teacher, I certainly feel a family/community connection. GOD BE WITH YOU DURING THIS MOST DIFFICULT TIME! It is with a very heavy heart I sit hear reading the recent news of Jeremy’s discovery. I met Jeremy professionally and stayed in contact with him over the years as a friend. My deepest sympathies to the Griess family. My prayers are with you in this most difficult time. My deepest sympathies to your family. I worked with Jeremy for a brief time in Lincoln. I was lucky to have crossed paths with an amazing man. With the short presence we had in each others lives, my heart breaks. With that, I can not imagine how the heart breaks within his family and friends that were present to his final days. I pray for your comfort as I pray for Jeremy’s peace. You have my sicerest sympathies. I have often thought of Jeremy and the impact he had on my early adult life. I will always have a huge debt of gratitude to Jeremy for that. I will continue to pray for peace for Jeremy in his eternal rest. Also, please know that you all have been and will continue to be in my prayers. I am so sorry for your loss. I am praying that you find strength and comfort in the Lord. You are living my worst nightmare. To the Griess Family – Words cannot express what we are all feeling at this time of trouble. Just know that you are, always have been, and always be a near and dear part of our lives. Jeremy will be truly missed. Our thoughts, prayers, and condolances are with you all and we are sending love and prayers. My heartfelt sympathies are with you all. I hope the road to healing your pain is brief and joyful memories of a wonderful man mark the horizon. Im glad that you found Jeremy and his car but truly sorry that it had to end the way that it did 😦 . I have keeped in contact with the Griess family that live in Minden Nebraska. And my thoughts and prays go out to them and their loved ones . Our deepest sympathy and prayers go out to Jeremy’s family. He was a co-worker I only knew by phone and email but one conversation with Jeremy is enough to know how much he’ll be missed. I’m so sorry. Our hearts and prayers go out to you all. The only lead to a Westminster, Colo., man’s disappearance may lie in the last contact with his Blackberry device, recorded at Badger Mountain just east of Wilkerson Pass in southeastern Park County. Westminster resident Jeremy J. Griess, 39, was last seen around noon on April 11. According to a Web site set up to assist in his search, a check of his cell phone by Commnet revealed that it registered a signal in the Badger Mountain area on April 11 and April 14, when contact with the device was lost. Griess is a mountain biker, fisherman and hiker who is familiar with the Eleven Mile Reservoir and Canyon area, said Ted Griess, his father, speaking by phone from Nebraska. The senior Griess said his son had been staying with a college friend in Westminster until his divorce was final and his Littleton townhome became available again. Original reports placed the missing man in the Woodland Park cell phone tower vicinity, until further technical analysis revealed the Badger Mountain signal. Flyers with his picture went up from Woodland Park to Hartsel. 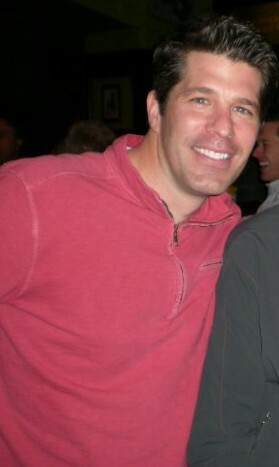 Friends and family launched a Web site, http://www.jeremygriess.com, and Facebook page to assist in the search. According to the site, members of local mountain biking clubs were the first to go out looking for Griess, although initial efforts were hampered by heavy spring snow. The Rampart Range Road and Phantom Canyon Road in Teller County were searched. The Teller County Sheriff’s Office led an extensive volunteer effort throughout the county and adjacent areas on April 24. With the assistance of the Air Force Rescue Co-ordination Center at Tyndall Air Force Base in Florida, which mapped and gridded the search area, volunteers drove local roads and checked trailheads, including those on Park County Road 77. A helicopter from Colorado Vertical Tours in Colorado Springs also participated, flying over the Badger Mountain area for two hours with no results. The search has encompassed the main roads around both Spinney Mountain Reservoir and Eleven Mile Reservoir. 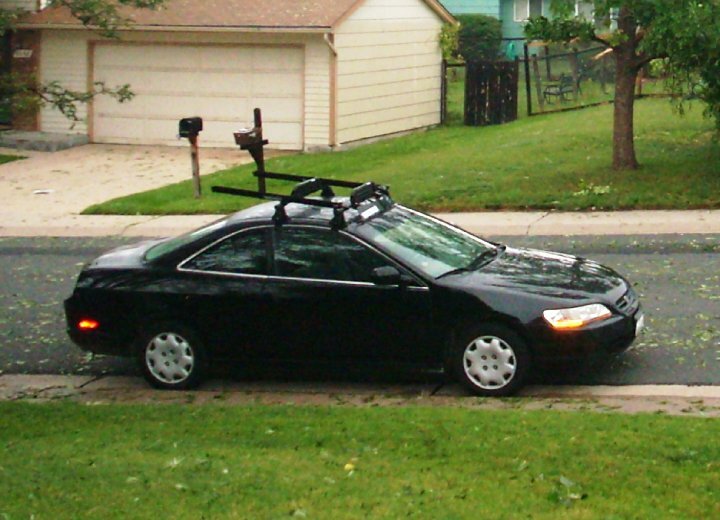 The search is focusing on locating Griess’s vehicle, a black 1999 two-door Honda Accord with a bike rack on the roof, Colorado license plate number 940 JSE. It is not believed the two-wheel-drive vehicle would be off the main roads, especially considering the muddy conditions prevalent at that time. The cell phone tower quadrant he last registered in is northwest of Lake George, east of Hartsel, and north of Eleven Mile State Park. This area is criss-crossed with an extensive network of forest service roads and has little residential usage beyond the U.S. 24 corridor. Park County Undersheriff Monte Gore said Eleven Mile State Park officers, Park County sheriffs’ deputies and Park County Search and Rescue participated in actively looking for the vehicle, checking back roads around Badger Mountain and Eleven Mile. But he admitted that four weeks without any financial activity on Griess’s bank accounts was “not a good sign”. Griess, a Minden, Neb., native, is about 5 feet 10 inches tall, weighs 165 pounds, and has brown hair and hazel eyes. He has a small scar above his lip. Anyone with specific information regarding this case is asked to contact the Westminster, Colo., Police Department at 303-658-4360. Griess’s mother, Wanda LaPage, has set up a contact e-mail of findjgriess@gmail.com. His family is continuing to follow up on all leads and ask that “everyone continues spreading the word about Jeremy.” The Web site has a downloadable flyer for Park County residents who wish to post it. Griess is believed to be dressed in jeans, T-shirt and boots and not prepared for dealing with the elements at this altitude. Minden youth chip in to help further the search for a missing Minden native. Kids from St. Paul’s Lutheran Church youth group and C.L. Jones Middle School offered a car wash Saturday. It’s a fundraiser to help find Jeremy Griess who went missing in Colorado one month ago. This contribution lets the kids feel good about helping others, and gives the family an extra glimmer of hope. “I think they would feel good because for one thing they have to pay for all these expenses for what they’re just to find him, so i think it’s helping them a lot,” said organizers Zack and Jessica Rehtus. “It’s just, it’s so heartwarming to see these people still helping us look for our Jeremy, seeing all these young people reminds me of my son when he was their age, it’s just so warm and nice to know that people care,” said Jeremy’s father Ted Griess. Saturday’s car wash brought in $1,500. Thank you all so very much! Would you please copy the statement shown in blue below and email to each member of this National Media list. If you would like to send it to other media sources, please feel free to do so. Please help us tell Jeremy’s story. 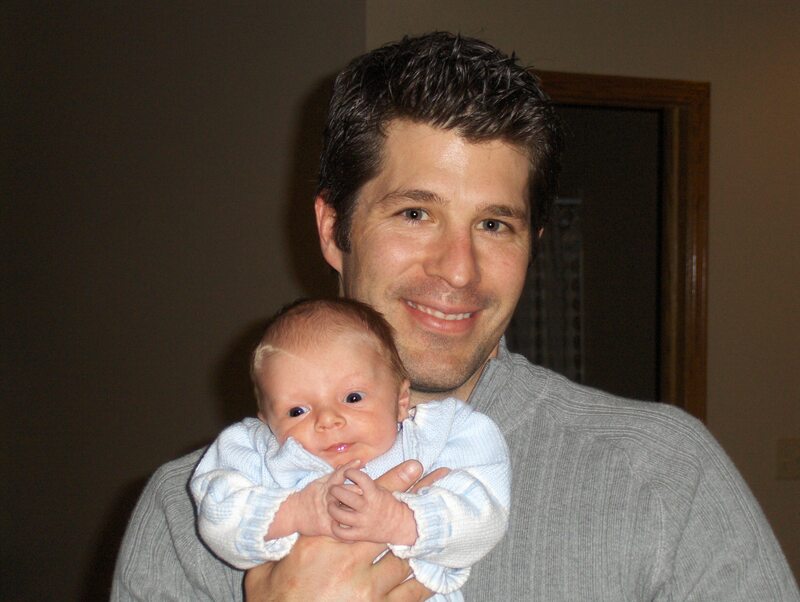 On April 11, 2010, Jeremy J. Griess, our beloved, Son, Brother, Uncle, Nephew, Cousin and Friend went missing without a trace. This past Sunday May 9, 2010 , was Mother’s Day, but also marked exactly one month since Jeremy’s disappearance. After extensive and exhaustive searches by hundreds of volunteers, countless phone calls and the distribution of thousands of flyers, we have unfortunately been unable to locate him or his vehicle. His mother and entire family are utterly heartbroken. Because Jeremy has committed no crime and is thirty-nine years of age, the authorities’ investigation has been limited. Every Mother knows that no matter their age, they will always be remembered as their little child. Please help us find Jeremy by continuing to tell his story. We ask that everyone please remember, every missing person is someone’s child. Mother’s Day is fast approaching. A day set aside each year for celebration of Mother/Child relationships all around the world. For my children, it has always been a day to lovingly honor me with love and respect. For me, it has always been a day to celebrate my children with love and pride. As all of you know, a Mother/Child relationship goes well beyond what mere words can describe…it is Love at its best…it is a deeply emotional experience, a spiritual attachment at the very deepest level. This year, Mother’s Day will be a little different for me than in years past. Although I will be ever so thankful for my other three children and ever so grateful to celebrate the specialness of Mother’s Day with them, a piece of me aches for my missing son, Jeremy. We will all feel the void left behind in his absence…a void that was always filled with his presence and all the love, laughter, joy and comfort he added to all occasions. This Mother’s Day marks a first for me…my first Mother’s Day without my Jeremy. I know my other 3 children will create a sense of specialness for me as they always have. But, we will be short one family member, our Jeremy, who always added his special touch to this and every day. I have but one Mother’s Day wish this year and I need your help to make that wish come true. I need help to get Jeremy’s story out across our country. The best way I know how to do this is to make an attempt to snag the attention of the National Media and let them tell our story. Maybe, just maybe, this will be the key in reuniting us with our Jeremy and bring a sense of wholeness back to our aching hearts. Happy Mother’s Day to All. Please give your children an extra hug this Mother’s Day just for me and my Jeremy. That might just be the spiritual punch we need. Thanking all of you in advance from deep within my soul…Remaining forever grateful to all of you and all your help!!! I have sent the information to the contacts you requested. I wish I could have sent it earlier but I was out of town. I hope all the e-mails help. If you decide to send another message to these same contacts just let us know. Stay strong. Hello, I have forwarded the information to several national media outlets, even including Howard Stern. I know it feels like the authorities feel indifferent to your situation, I want to let you know that when you came into the lobby that night (remember the coffee?) I felt a strong connection to you and your family. You see….. I almost left my mother alone on Mothers day after a very bad decision made when i was desperate for answers. I just want you to know that we as authorities, even behind the badge are still people and we have tried everything we know of to find Jeremy. Thank you for helping us that night. Thanks to your care and compasion that night we made the first little steps towards tracing his phone. That is the only lead that we really have so far. You are a good man. God Bless you. Done…from the heart of Texas it is all I have been able to do to assist in your effort! Have been following it for weeks and my heart aches for you all. I sent them. Your family has been on my heart since he went missing. We searched many of the areas and I am still searching, everytime I see a car resembling his I take a closer look. You are in our prayers. Last night the family met to discuss our current options and future plans to find Jeremy. Presently we are continuing to follow up on all leads. Though this process has been terribly stressful and emotionally draining, we remain hopeful for information that may help us find Jeremy. Unfortunately, to date we have no leads which have brought us any closer to locating Jeremy or his vehicle. Therefore, we ask that everyone continue spreading the word about Jeremy. The more people we can reach and come in contact with, the greater the likelihood someone will find Jeremy or his vehicle. Additionally, we are exploring the option of National Media exposure and welcome any suggestions that may help us facilitate this process. Please contact us at: findjgriess@gmail.com. We are eternally grateful for everyone’s continued support. From the bottom of our hearts, we thank you all! I live in Fairplay, and have been following this story. Since I bike, hike, fish, solo, stories like this concern me. I know the area, but have gotten lost myself. There was only a cell phone contact in that area, and his car was not spotted in the area, correct? The roads are still muddy, snowy, etc. It sounds like they searched best as possible for the conditions. I pray for all of you and Jeremy, and WILL be taking more rides, hikes, drives in that area, just in case. There were two cases of missing hikers near there last summer. After a 48 hours search and no sigh, they showed up miles away, safe in Jefferson. I know it has been much longer, this information on Jeremy needs to get out further, nation wide, and other states. Hopefully the media will help out more. God Bless! We love you and are praying for your safe return. We are all praying for your safe return and for your families continued strength. I will continue to pray for Jeremy’s safe return. I think a way to great exposure to the most people who can help is to rent a billboard. The best bet would be one with exposure to those going into the mountains from Denver area. It would be expensive but hopefully they could cut a break under the circumstances. We could all make contributions to the account set up.